This section contains all information regarding gaming tools and utilities released by TTS. Instant D&D 4E NPC Generator, a quick way to create up to 100 randomized NPCs for your 4E game. Help. 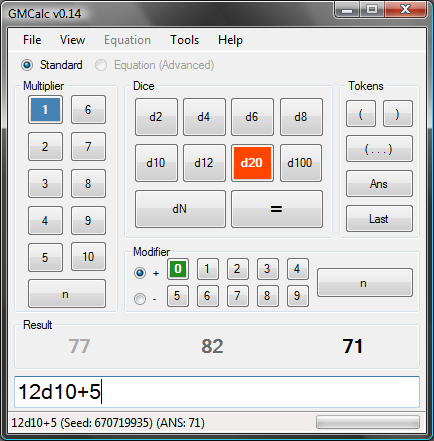 A GM Calculator (players can use it too, but PlayerCalc sounded lame) for all your calculating needs. Roll dice! Add modifiers! Impress the ladies!